Is it possible to drink in too much joy and happiness? Are the sounds of laughter and the noise of celebration sending you over the edge? Sometimes we get so caught up in the consumerism and celebration that immediately afterwards we have one of the lowest lows of the season. I realize this may not resonate with everyone but some folks out there may just get too much at one time and the body, mind and spirit start to shut down. 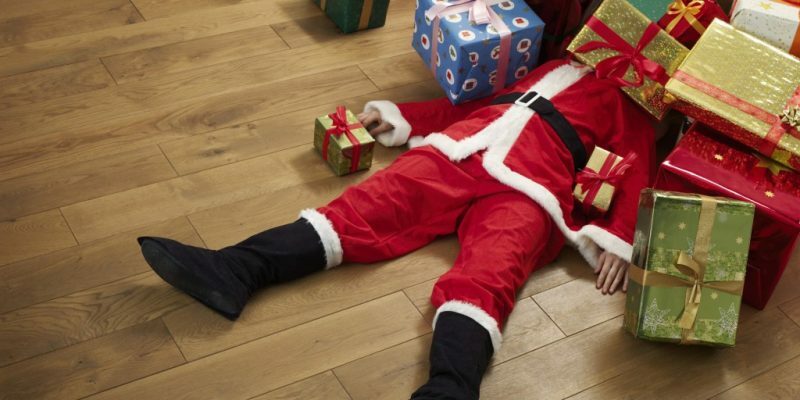 So how do you beat the Christmas hangover? Take a few moments for YOU and settle down with what else, a fresh cup of joe and relax. That's right, it's YOU time. Don't think about the presents, the food, the parties left or anything that is coming. Just relax. You are stronger than you think and you will rise up out of this little break to join back in the holiday festivities and use that gift of hospitality you so amazingly show! Jesus brings Joy and when you stop to catch your breath you will reboot your body and refresh your spirit. So what are you doing reading still? Relax!